How good is Capricorn at keeping secrets?  Can You Confide In Capricorn? Find Out Below! Younger Capricorns are not too good at honoring secrets, but not because they are unreliable. They need a way to overcome their inborn shyness, so they use the juicy stories they are told in private to improve their chances of becoming the life of the party. But as you grow more mature, you realize that it’s keeping confidences, and not spilling the beans for the sake of entertainment, that can help you win respect. And the respect of others means a world to you. It is especially true in your professional field – business-related secrets and your company’s interests are the things that keep your lips zipped.